Save On Business Liability Insurance! We'll help make sure your business is protected against the risks and liabilities of todays business world. ThinkInsure's business insurance experts know that your business and insurance needs are unique. We'll get you flexible coverage that is designed for your business and budget. 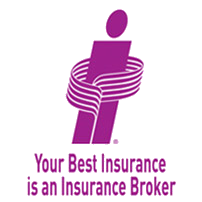 Discover The ThinkInsure Broker Advantage and see why so many Ontario businesses trust ThinkInsure to be their insurance broker. Why Choose ThinkInsure For Your Business Liability Insurance? Expert Unbiased Advice : We are an independent brokerage so our team of licensed insurance experts will give you unbiased advice. So you'll get the best coverage for your needs. Best Quotes & Custom Tailored Coverage : We will shop your business insurance needs with our large partner network of 40+ companies. You'll get the lowest quotes for insurance coverage that is specifically tailored to your business needs. Dedicated Personal Service : You'll get a dedicated insurance expert who understands your business and insurance needs. They will take care of all your insurance matters so you can focus on your business. We'll make sure your business is protected properly. Call toll-free 1-855-550-5515 or request a quote online. Business insurance means protection. But insurance is also an investment in the future of your business – its wellbeing and financial security. When accidents happen or disaster strikes, business liability insurance protects you from loss, damage and even bankruptcy. One accident – whether a personal injury or a fire – could shut your doors permanently. That’s why you need business insurance – so that you won’t suffer crippling loss or damage. Liability insurance is a coverage that protects your business from claims or lawsuits from damages or personal injury to a third party. Personal Injury : Claims due to personal injury – for visitors, employees or customers to your business property. Property Damages : Damage to your property. Legal Costs : Legal fees and expenses associated with claims or suits. Advertising Injury : Costs or damages caused by false advertising. Natural Disasters : Business liability insurance guards against unforeseen accidents and disasters. Every business and its insurance needs are different. We’ll start by understanding your business model and help you identify potential risks to your business. Our team will also advise you on measures you can take to reduce your exposure to risk – all within your financial constraints. Once we have assessed your needs and risks, we will research your possible options from our large network of insurance companies. Our brokers act as consultants. Because we have a wide number of insurance partners, we offer unbiased, professional advice on the best insurance solution for your company. Our insurance solutions have your business covered – regardless. Are you a small business? Medium-sized or a commercial operation? We’ll flex with your size, your needs and your industry. We’ll find the correct coverage for you – to protect your business and mitigate for risk – at rates you can afford. ThinkInsure has flexible solutions to ensure that your business future stays secure. Our brokers and our insurance partners will identify and assess risks to your business and offer unbiased and expert advice. So you'll have the right insurance solution your business. Protect your business! Call a ThinkInsure insurance expert toll-free 1-855-550-5515.